We have six highly active and adventurous indoor cats. We’re very close to them and worry when we have to leave them at home for an extended period of time. When I heard about the Petcube Play, I was happy to learn that we have a way to interact with our cats when we’re away. Using your smartphone, you can play with your cat using a laser and check in using a camera. With the built-in 2-way audio, you can talk to your pet while watching 1080p HD video. An alert is sent when the Petcube Play detects motion or sound. The camera automatically records when its triggered by sound, motion, autoplay mode, and when you interact with your pet. 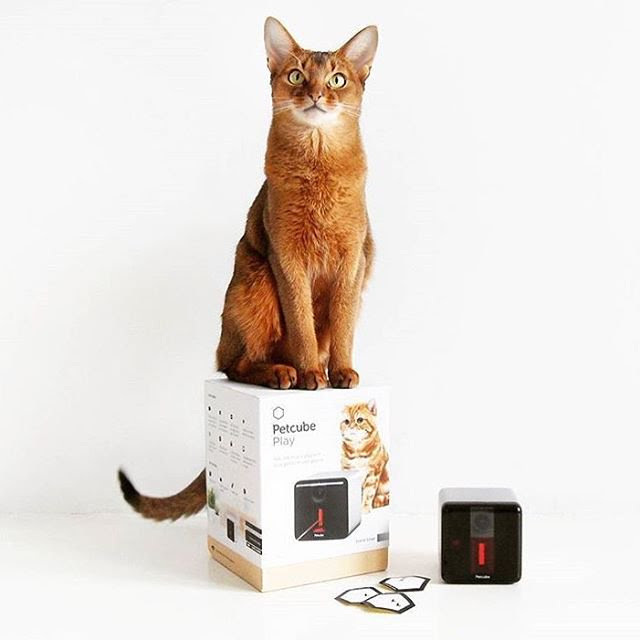 Another product called Petcube Bites is designed to give treats while you watch on video. 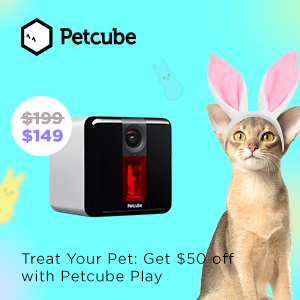 Though April 16th, you can get $50 off your purchase of a Petcube Play pet camera and $50 off pre-orders of the Petcube Bites camera.